Living and maturing through the years with a theater screen as a guiding force, I never imagined the day would come when we would have to trek our way through these experiences without Roger Ebert being along for the ride. His presence became obligatory in every feasible way when it came to the movies, much like pop music required Michael Jackson to be around, or television comedy demanded Lucille Ball. They too left us without their audiences ever truly being ready for it, and here I stand, still in shock, at the prospect that I now will continue to see, experience and write about film, and the man who was more passionate than any of us about this industry, is no longer here. The pain is immeasurable, and the grief is persistent. Perhaps more than I expected it to be. How did this even happen? Here is a man I never knew or met, never even so much as talked to directly. He did know I existed in some capacity. I am reminded of an e-mail sent to him years ago that I had been copied on, when it had been called to his attention that a user on the Internet Movie Database was plagiarizing his reviews in the user comments section… and I was the one who discovered it. Being mentioned to him by name felt as if I had been allowed to bask in a personal hero’s light. He was so much more than celebrity, or a film critic – he was one of the founding fathers of my most cherished of professions, a lover of cinema and art, and a man who conceded that his life was enriched beyond measure by the resonance of great motion pictures. His gift back to the cinema was his eloquent and pointed writing style, which could seemingly elevate a great movie into a colossal spotlight, or cut a bad movie down to pitiful size. Long story short, he set the precedence for which I would consistently follow, even as I am writing this very tribute. Roger has been gone now for nearly three months, leaving us as a result of cancer which waged war on his body for 11 years. In the latter half of that battle, he was rendered unable to speak; in 2006, after removing a tumor from his salivary gland, complications forced doctors to also remove the bottom part of his jaw. After time, however, Mr. Ebert did not drift off quietly into retirement as most of us suspected he would, but instead became more active than ever before. 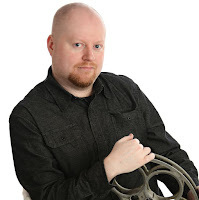 His internet presence (and reviewing) persisted to even more prolific levels, and the blog he kept on his personal web site was regarded by most (including me) as the most well-written and insightful on the internet. How he found the time, or energy, I will never know. But it was initiative that I admire tremendously, and it strikes a chord in many of us who seem to get caught up in day-to-day routines and then forget to make time for our passions. After knowing and seeing his dedication, somehow the excuse of “I don’t have enough time for it” just doesn’t work, in any capacity. I have been writing about film off and on for 16 years now. Every memory I have of it includes his presence, and that is no exaggeration. And like most, my first exposure to his work was not from his brilliantly written print reviews, but his broadcast work on “Siskel & Ebert,” the weekly ABC movie review show in which he would engage in spirited but sometimes heated discussions with Gene Siskel of the Chicago Tribune. That passion remained unmatched, even by the standards of most of his peers; when both would argue either in favor or against certain pictures, you always got the sense that Roger was fiercely dedicated to his viewpoint, even if that viewpoint was out of sync with the consensus. The experience, in either case, was refreshingly engaging. No two movie critics had that kind of chemistry together, and none ever will again on that level. When Gene died at the age of 53 in 1999, it was very much a wake-up call. Suddenly, our convictions and passions were now bound by mortality, which could sneak up on any of us in one quick moment, regardless of age or upbringing. His loss sent ripples through the industry, and left those of us who wrote about the cinema with a sense of urgent purpose. This event, we suspect, was instrumental in changing Roger’s own outlook on life in his later years. Through his writing, he championed the state of mind that should be a universal mantra by all accounts: because tomorrow may not come, you have to live for today, and treasure every waking moment of it. It was that mindset that undoubtedly fueled his tireless endeavors for the last six years. The writing was consistent, prolific, and by all accounts informed. Until the very last, Roger’s mind was as sharp as ever and that continued to shine through in those endeavors. The internet was, indeed, his most lucrative medium. The voice of the Chicago Sun-Times, a Pulitzer prize winning movie critic and conversationalist, earned nowhere near the amount of praise he deserved until his work was accessible to anybody with a computer; in turn, the boundless possibilities of the world wide web allowed his voice to be unhindered by censors or column inches. For all levels of admiration that were present in my mind as far back as meeting him on Sunday night television syndication, it was through the internet that I discovered his massive archive of print work, and became enraptured by his linguistic genius. No film review he ever wrote was unsound or miscalculated. And for all the movies he was downright wrong on in his assessment, the arguments were always persuasive and well intentioned. No matter how much he might have hated a movie, there was never the sense of a preconceived expectation to him going into a movie theater. In his mind, all people set out to make a good film in some capacity. I sometimes am bewildered when I think just how consistent he was for so long. My writing about film is only a fraction of time compared to that of him, and even by those standards, there was times over recent years where it just seemed virtually impossible to keep up. I wrote only one film review in 2011, and none last year, for instance. 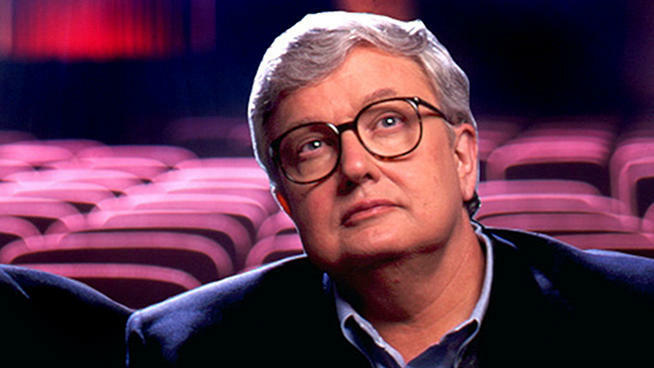 Ebert was his most prolific in the last two years of his life, churning out more than 300 movie reviews annually, not counting any of his written contributions to the Great Movies series, his blogs, or any other assorted articles of note. Of the long list of questions that I hope to ask him in the afterlife, the most important one will be, “Roger, how in the heck did you ever find the time or dedication to be so consistent, especially while battling the health problems you faced?” I have a feeling I know the answer already, but I won’t deprive the man of an opportunity to answer in the eloquent fashion he will forever be known for. What more can I say about him now, even after so much has been said about him already in these recent months after his heartbreaking passing? Nothing unique, for sure. But the sentiments of those who treasured his presence in this industry is echoed here in the only manner that is appropriate to my person, and if any good is to come of this loss, it’s that we owe it to ourselves to be honest about our desires and goals. In light of his passing, I realized just how much I missed writing, and how much perspective I lost in transitioning from a treasured hobby in order to keep up with a world that required me to become more independent. Cinemaphile.org is, and was, my home away from home. It has not gotten the dedication it deserves. Life got in the way; but it is not an excuse. Passions and professional demands can go hand in hand only when we are at peace with the idea that they do not have to be mutually exclusive. It has taken the last six years to realize that, and I am only sorry that it required losing someone so dear in the world for me to be able to hold a mirror up to myself. This show will go on. Some days will be harder than others, and there may again be periods of silence. But I am not being true to myself by entirely abandoning this outlook. Writing, and film, are in my blood and enhance my spirit. I have a newfound energy to become more involved than I have been. And if I can accomplish a fraction of what my hero did, or resonate in any way with anyone that might see something I write and learn anything about film, life or themselves, then it makes every moment of doing this, forced or otherwise, worth it in the end. Thank you, Roger, for leading the way and showing us all just how joyous the moviegoing experience can be emotionally and intellectually. From yours truly, and for all that you will continue to inspire in any of us who have something relevant to say, I am forever grateful. We will never forget you. Anatomy of a scene: "The Shining"